Draft: 2010, Texas Rangers, 27th rd. Graduated from Isabel Flores High School in Juncos, Puerto Rico... Is married.....wife's name is Daianne.....the couple has two sons, Lexiel and Adrian...Following the 2017 season assisted with Hurricane Maria relief efforts and provided baseball clinics in his hometown of Juncos, Puerto Rico...Is the first Major League player ever from Juncos...Enjoys video games. Went 4-2 with a 4.48 ERA and 1 save in 66 games (1 start) with Texas...Posted a 1.80 ERA over his last 11 appearances (10ip, 2er) as opponents batted just .206...Led the Rangers in appearances for the second straight season...Had 8 relief appearances of 2.0 or more innings...Retired 39 of 65 first batters faced (60.0%)... Stranded 28 of 38 inherited runners (73.7%)...Notched his only save of the season on 4/14 at Houston... Made his only start (second of his career) on 9/15 at San Diego (1ip, 1h, 1k)...Was on the 10-day disabled list from 7/11-7/20 with a sprained left ankle... Pitched for Mayaguez in the Puerto Rican Winter League... Was traded to Milwaukee on 12/13 in exchange for Competitive Balance Round A selection...Signed a 1-year contract on 1/11/19, avoiding arbitration. Claudio posted a 2.50 ERA (23 ER/82.2 IP) in 70 games/one start, establishing career highs in most categories, including ERA, games, games finished (38), saves (team-high 11), innings, strikeouts (56), WHIP (1.040), and SO/BB (3.73)… his 70 games were T8th in the A.L…held left-handed batters to a .147 (14-95) average, 6th-lowest among all ML pitchers with 90+ AB vs. LHB, and his .368 opponent OPS in those PA's was lowest in MLB…finished campaign as team's closer, and was voted Rangers Sept./Oct. Player of the Month. SAVES // Went 11-for-14 overall in save tries, including 10- for-12 after the All-Star break…the team-high 11 saves were 1st saves of his ML career…over the season's final 3 months beg. 7/1, Claudio finished 20 of team's 38 wins in which the bullpen appeared…posted 4 saves of 4+ outs, most by a Ranger since 2007 (4-C.J. Wilson)…his saves 9/19-20 at SEA (3.0 IP) marked 1st time a Ranger posted rescues on back-to-back days, pitching 3.0+ IP in the process, since Francisco Cordero from 9/18-19/04 (3.0 IP)…saves by winning pitcher: 2-Cashner, Hamels, Perez; 1-Barnette, Bibens-Dirkx, Bush, Griffin, Leclerc. IN RELIEF // Had a 2.29 ERA (20 ER/78.2 IP) in 69 relief appearances, ranking among A.L. relief leaders in innings (T3rd), ERA (6th), and games finished (10th, 38)…allowed 13 of 44 (29.5%) inherited runners to score and had 7 holds, 4th-most among Rangers…1st batters hit .262 (17-65) with just one BB, a HBP, a SF, and a SH…had 2nd-highest total of 1st batters faced (69) in MLB for a pitcher allowing one-or-zero walks to those batters (NYM's Jerry Blevins: 1 BB, 75 1st BF). 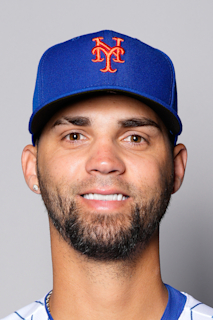 Was 4-1 with a 2.79 ERA (16 ER/51.2 IP) over a career-high 39 relief appearances in 4 stints with Texas (4/13- 5/6, 5/8-6/2, 6/13-26, 7/8-end of season)…was the club's long reliever for the majority of the campaign, logging a team-high 11 appearances of 2.0-or-more innings…ranked among team relief leaders in games finished (T3rd, 15), wins (T4th), games (5th), and innings (5th), and had 2nd-best SO/BB ratio (3.40) of any bullpen qualifier (Matt Bush-4.36). Began the year at High-A Myrtle Beach, but would finish the season with his first major league action, posting no record and a 2.92 ERA (4 ER/12.1 IP)...had contract purchased from Round Rock on 8/13 and made his MLB debut that night vs. Tampa Bay (1.0 IP, 0 R)...was the first Ranger to appear in 3 straight team games, with the first game being his ML debut, since Terry Matthews, who appeared in 3 straight for Texas at old Comiskey Park, June 21-22-23, 1991...marked one of 3 instances of pitching on back-to-back days...did not allow a run over first 6 appearances (5.0 IP) and permitted runs in just 3 of 15 outings overall...retired 17 of 22 left-handed batters faced, allowing just a .190 average (4-21) with 8 strikeouts...stranded 7 of 12 inherited runners...career highs with 4 strikeouts, 1.2 innings, and 41 pitches on 8/29 at HOU. Named the Rangers Minor League Reliever of the Year...combined to go 4-6 with a 1.83 ERA (16 ER/78.2 IP) and 91 strikeouts against 18 walks over 45 relief appearances with Hickory (Low-A) and Frisco...opponents batted .183 overall (50-273), including a .133 mark (12-90) by lefties...compiled a 0.24 ERA (1 ER/38.0 IP) over final 21 outings with Hickory...season-high 6 strikeouts on 3 occasions...promoted to Frisco on 6/20...held left-handed batters to a .116 average (5-43), but right-handed hitters batted .319 (23-72)...compiled a 1.15 ERA (2 ER/15.2 IP) over his first 11 appearances with the 'Riders and a 4.50 ERA (8 ER/16.0 IP) over his last 11 outings...was 0-3 with a 4.15 ERA (8 ER/17.1 IP) over 16 relief appearances with Ponce in the Puerto Rican Winter League. Spent full season with AZL Rangers...compiled the lowest WHIP (0.90) and ranked among the league leaders in ERA (2nd, 1.79) and strikeouts (7th, 54)...limited opposing left-handed batters to a .133 average (6-45)...ended the season with 14.1 scoreless innings over final 4 relief appearances of the season. Split season between AZL Rangers and Spokane (Rookie)...combined to go 5-0 with a 1.91 ERA (6 ER/28.1 IP) over 16 appearances out of the bullpen...made 15 of his 16 appearances with the AZL Rangers...promoted to Spokane on 9/3 for remainder of the season. Spent first professional season with AZL Rangers after signing...limited opposing right-handers to a .220 (11-50) average, while lefties hit .727 (8-11)...pitched for Ponce in the PWL, going 1-0 with a 1.06 ERA (2 ER/17.0 IP) in 6 games/2 starts. December 13, 2018 Texas Rangers traded LHP Alex Claudio to Milwaukee Brewers for Future Considerations. December 5, 2018 LHP Alex Claudio assigned to Indios de Mayaguez. November 14, 2018 LHP Alex Claudio assigned to Indios de Mayaguez. July 21, 2018 Texas Rangers activated LHP Alex Claudio from the 10-day disabled list. July 14, 2018 Texas Rangers placed LHP Alex Claudio on the 10-day disabled list retroactive to July 11, 2018. Left ankle sprain. July 8, 2016 Texas Rangers recalled LHP Alex Claudio from Round Rock Express. June 27, 2016 Texas Rangers optioned LHP Alex Claudio to Round Rock Express. June 13, 2016 Texas Rangers recalled Alex Claudio from Round Rock Express. June 3, 2016 Texas Rangers optioned LHP Alex Claudio to Round Rock Express. May 8, 2016 Texas Rangers recalled Alex Claudio from Round Rock Express. May 7, 2016 Texas Rangers optioned LHP Alex Claudio to Round Rock Express. April 18, 2016 LHP Alex Claudio assigned to Round Rock Express. April 13, 2016 Texas Rangers recalled Alex Claudio from Round Rock Express. March 21, 2016 Texas Rangers optioned LHP Alex Claudio to Round Rock Express. January 30, 2016 LHP Alex Claudio assigned to Puerto Rico. November 6, 2015 Alex Claudio roster status changed by Texas Rangers. September 1, 2015 Texas Rangers recalled LHP Alex Claudio from Round Rock Express. August 30, 2015 Round Rock Express placed LHP Alex Claudio on the 7-day disabled list. August 6, 2015 Texas Rangers optioned LHP Alex Claudio to Round Rock Express. July 29, 2015 Texas Rangers recalled Alex Claudio from Round Rock Express. July 9, 2015 Round Rock Express activated LHP Alex Claudio from the temporarily inactive list. July 6, 2015 Round Rock Express placed LHP Alex Claudio on the temporarily inactive list. June 24, 2015 Texas Rangers optioned LHP Alex Claudio to Round Rock Express. June 19, 2015 Texas Rangers recalled Alex Claudio from Round Rock Express. June 2, 2015 Texas Rangers optioned LHP Alex Claudio to Round Rock Express. April 27, 2015 Texas Rangers recalled Alex Claudio from Round Rock Express. April 5, 2015 Texas Rangers optioned LHP Alex Claudio to Round Rock Express. November 17, 2014 Indios de Mayaguez activated LHP Alex Claudio. November 17, 2014 Indios de Mayaguez placed LHP Alex Claudio on the reserve list. October 30, 2014 LHP Alex Claudio assigned to Indios de Mayaguez. October 30, 2014 Indios de Mayaguez placed LHP Alex Claudio on the reserve list. August 13, 2014 Texas Rangers selected the contract of Alex Claudio from Round Rock Express. August 4, 2014 LHP Alex Claudio assigned to Round Rock Express from Frisco RoughRiders. June 25, 2014 LHP Alex Claudio assigned to Frisco RoughRiders from Myrtle Beach Pelicans. March 4, 2014 LHP Alex Claudio assigned to Texas Rangers. October 30, 2013 LHP Alex Claudio assigned to Leones de Ponce. August 14, 2013 Frisco RoughRiders activated LHP Alex Claudio from the 7-day disabled list. August 7, 2013 Frisco RoughRiders placed LHP Alex Claudio on the 7-day disabled list. June 20, 2013 LHP Alex Claudio assigned to Frisco RoughRiders from Hickory Crawdads. April 3, 2013 Alex Claudio assigned to Hickory Crawdads from AZL Rangers. June 14, 2012 Alex Claudio assigned to AZL Rangers from Spokane Indians. September 3, 2011 Alex Claudio assigned to Spokane Indians from AZL Rangers. October 22, 2010 LHP Alex Claudio assigned to Leones de Ponce. June 21, 2010 Alex Claudio assigned to AZL Rangers from Texas Rangers. June 20, 2010 Texas Rangers signed LHP Alex Claudio.